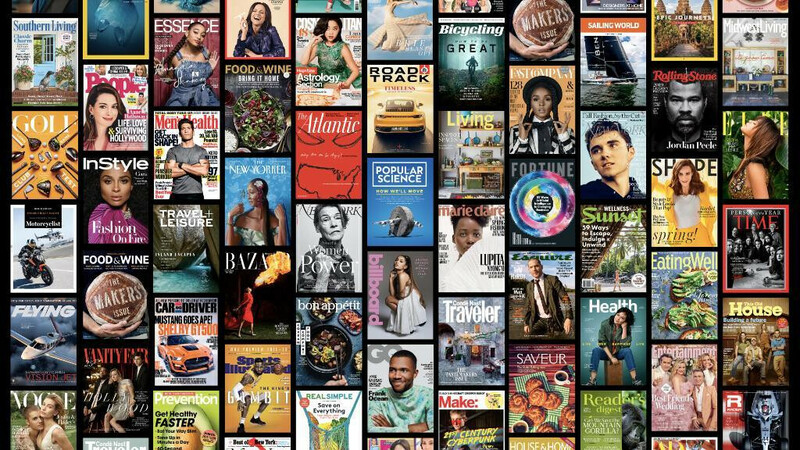 Apple is pulling the plug on Texture, the all-you-can-eat magazine aggregator it bought last year, folding the catalog into its newfangled News+ subscription service that charges $9.99 a month. Available in the US and Canada for now, Apple News+ offers full access to about 300 magazines, newspapers, and online publications but that is not the only virtue of its "Netflix for magazines" endeavor. Apple has applied its typical aesthetic touch to the News+ app, replacing the cumbersome old-school magazine layout of Texture with flashy new graphics, menu system, and interactive content. In short, News+ offers the magazine experience transliterated for the digital era and the realities of your iPhone or iPad displays, as you can see from Apple's promo video above. While we are posting our full Apple News+ impressions and review soon, you might be interested in all the magazine, newspaper and online services titles that Apple has managed to fold into its new service. In order to make it easier for you to decide whether to pull the $10/month trigger, here's a full list of anything available on Apple News+, here in the U.S. and in Canada, categorized and alphabetized. I had texture loved it, I have a IPAD so I think I am going to signup for Apple news +. I use a S9+ for my phone so will miss out but oh well. I noticed above Magnolia Journals was not on the list - did it get dropped or was your list just the major ones? Thanks! No gun magazines? Another disappointment. I'm still using texture so far, love it. Hopefully, Sammy won't steal the idea. Otherwise, they need to pay for it.